Social media platform Facebook on Friday unveiled that web hackers have breached the security of five crore accounts. Facebook is investigating the case, as well as he said that the hackers stole the access tokens. This is the reason why Facebook new accounts and old accounts were affected. Now, in your mind, the question is going on, what is the access tokens. It's a type of digital keys that help hackers sew a Facebook account. Facebook chief executive Mark Zuckerberg said that the engineer detected the tent on Tuesday and it was fixed by Thursday night. He said that we do not know whether Haskar has misused any account or not. But this is a serious issue. 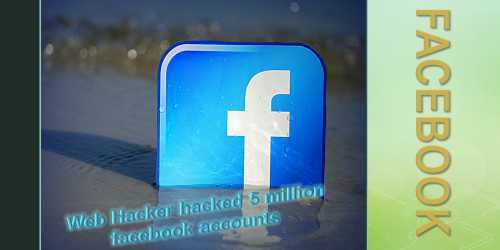 Web Hacker hacked 5 million facebook new accounts, the company had to remove this feature:-After brewing, Facebook has removed the ViewAge feature. Now talk about this feature. For your information, please let us know that this is a privacy tool that allows Facebook users to know how their profile will appear to other users. Guy Rosen, vice president of Facebook's Product Management, said that it is clear that hackers were successful in breaking the Facebook code. Significantly, before the analysis firm Cambridge Analyca was charged that private information was used from 8.7 million Facebook accounts to win Donald Trump in the 2016 US presidential election. Mark Zuckerberg said on the Facebook page, "For the past long we have been facing constant attacks. Mark Zuckerberg said that we have fixed the problem by fixing the problem and for now it has secured the accounts by fixing it. But now the company will create new tools to avoid such incidents in the future. Vice President of Facebook's Product Management, Guy Rosen, said that privacy and security of the users are extremely important, we would like to apologize for what happened.